Typewriter Key Earrings, Silver-tone. Gift for Writer. Typewriter Key Earrings – Function Keys Margine Release and Back Space, Upcycled, Art Deco Style. Typewriter Key Earrings, Antique Bronze. Gift for Writer. Typewriter Key Earrings – Funky Function Keys, Vintage Style Literary Jewelry, gift for her. 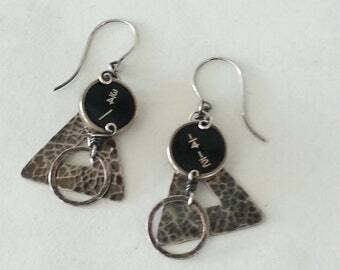 Typewriter Key Earrings – Funky Function Key Earrings, Upcycled, Art Deco-Steampunk Style.